The schedule looks daunting. We’re gutting, filleting and slicing snapper into goujons for deep frying. We’re making three sauces: mayonnaise, remoulade and aioli. 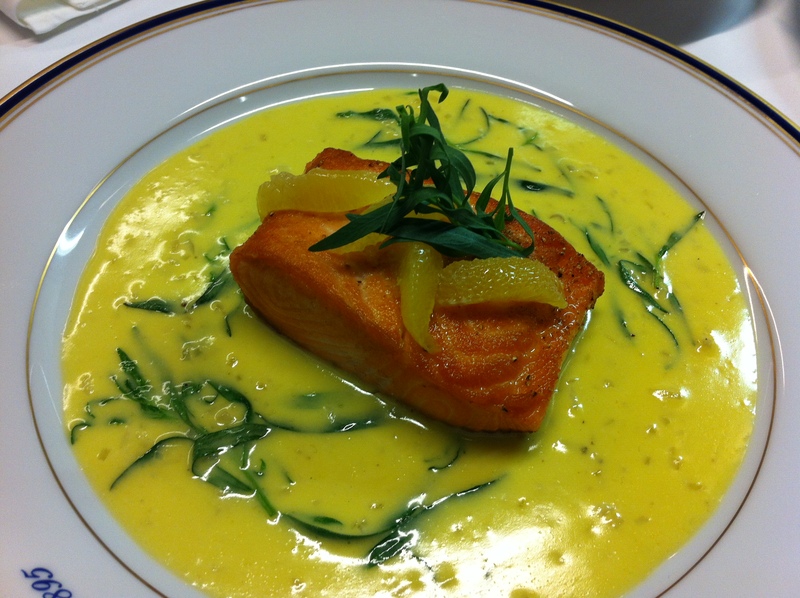 We’re pan frying salmon and serving it with a creamy tarragon sauce. Plus we’re filleting lemons, chopping parsley, and turning and cooking potatoes. Chef is looking for medium rare salmon, perfectly seasoned and flavoured tarragon cream sauce, crispy goujons, velvety tasty sauces, and not a skerrick of pith on the lemon fillets. I am mesmerised by the way he works through the tasks during the demonstration. He goes slowly so we can see what he’s doing but every now and then we get a glimpse of the real speed he would be working at in the kitchen at Zibibbos. He turns potatoes with a few quick hand and arm movements, the skin’s off the snapper in no time, and the figure-eight whisking of mayonnaise is a blur. Most of us are a long way off working at any sort of speed especially when dealing with produce like fresh delicate flaky snapper. And some things do just take time like whisking the oil into the yolks for the mayonnaise. We’re doing all the sauces by hand and by the time I get to the aioli I feel like I have had a good upper body workout. But the results are nothing short of sensational. The tarragon cream sauce is heavenly. It’s got Vermouth, white wine, and lashing of butter and cream. I will find a way to get this on our menu for Christmas dinner. 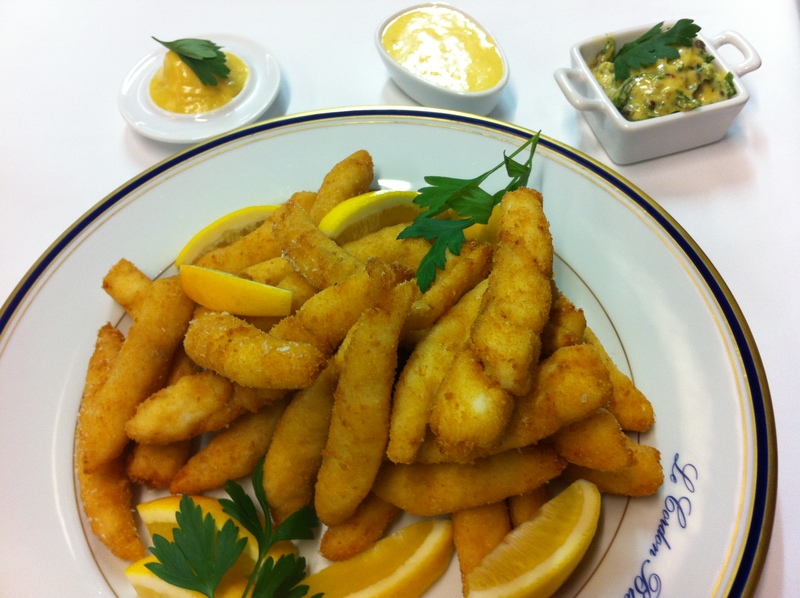 As for the goujons of snapper….I just might have to give in to my desire to purchase a deep fryer. « Lesson 13 – It’s not hard to cook potatoes, right? Great Work Again HC! Not sure about the purchase of a deep fat fryer tho. We will talk about that! Oh delish! Why is it that fried food is so appealing? Resist the temptation – you would be obliged to use the wicked thing. 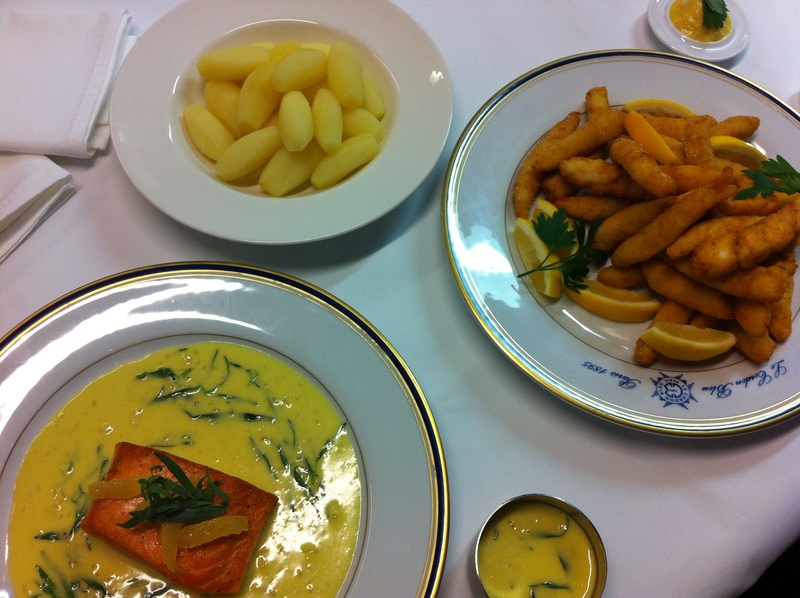 As usual the food looks wonderful particularly the salmon dish. Keep up the good work – writing and cooking! I get really hungry every time I read your blogg. Go buy that deep fryer – tell Phil you’ll work extra hard for the next 12 months. All your food looks just amazing.